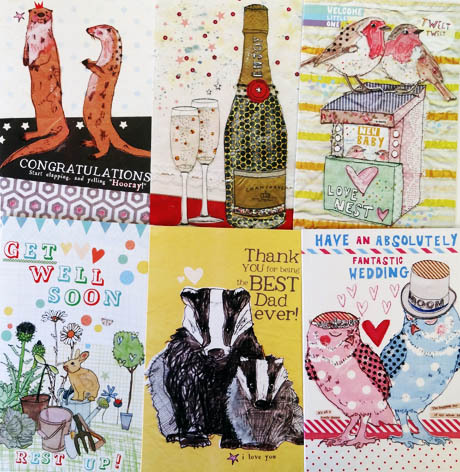 Here you will find lots of wonderfully illustrated greeting cards that will make your favourite people smile, or cheer them up when they’re feeling down. 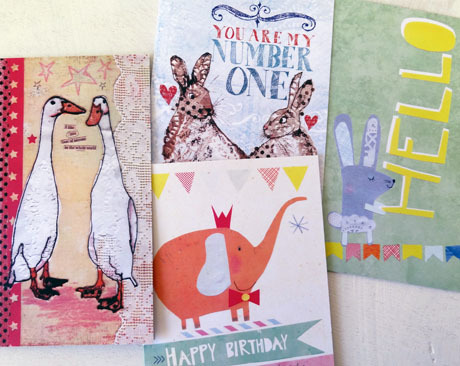 For ALL the BIRTHDAYS out there…we lots of cards that include the words ‘happy birthday’ within the design. 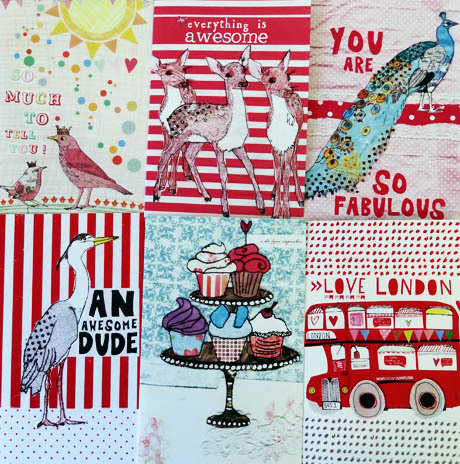 Our LOVE cards are a plenty! 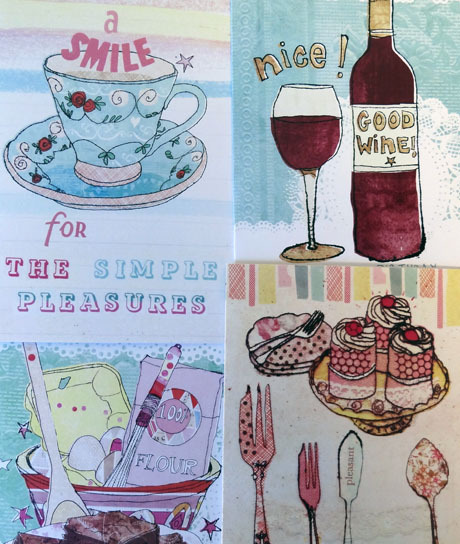 Our food and drink cards are full of the most yummy things to eat and drink, and these of course include…. cake, biscuits, cupcakes, red wine, brownies, wedding cake, birthday cake, champagne, the perfect cuppa, gin & tonic, and bbqs!. 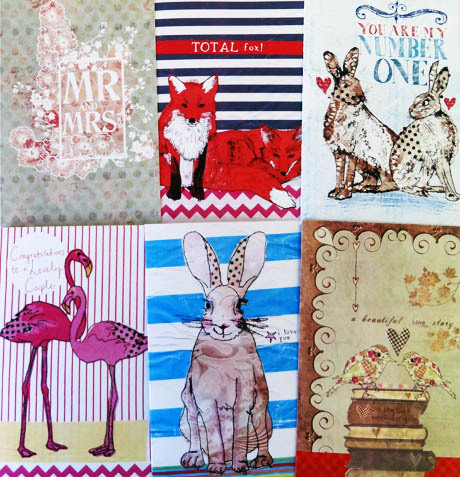 Animals and birds are a real favourite - we have a lion, zebra, monkeys, crocodile, panda, giraffe, bear, hippo, elephant, hog, stag, hare, rabbits, guinea pig, lots of dogs (boxer, lab, scottie, pug, dachshund), cats, rat, rabbit, swan, lots of birds (hummingbirds, penguin, pheasant, pigeon, ducks, bluetit, owls, doves, magpies, seagulls, quail, grouse, partridge), badgers, runner ducks, pigs, goat, ponies, cow, stag, hares, moles, squirrel, otters, fox, deer, and hedgehog. 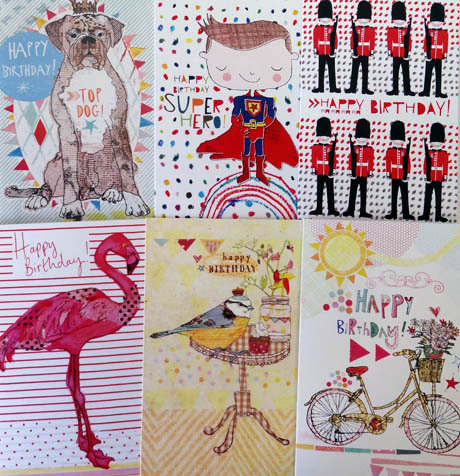 Because we’re always designing new cards, any stock of old designs is used to create our surprise collections - just let us know if you’d like specific occasions included.